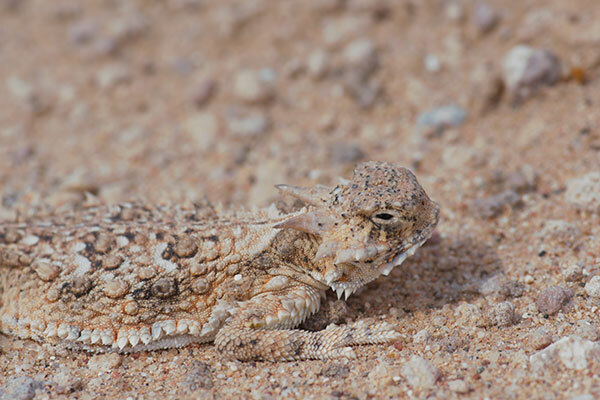 Formerly considered a subspecies of Phrynosoma platyrhinos, these lizards were given full species status by Mulcahey et al in 2006. 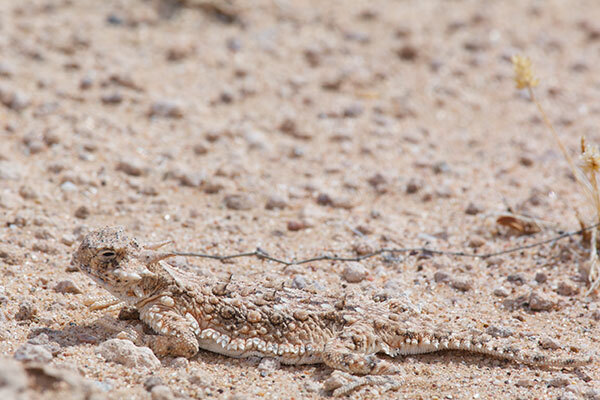 I often venture down to the deserts of the U.S. southwest to look for lizards and snakes to photograph. Usually I am not targeting any particular species, though of course I'm always especially happy to find a species I haven't seen before. 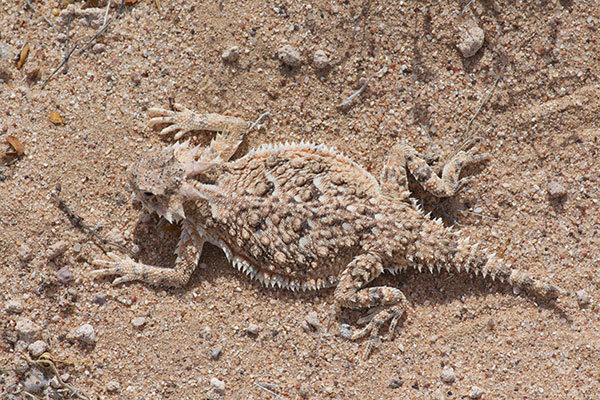 This time, though, I was specifically looking for Phrynosoma goodei, because this was the only described U.S. species of horned lizard that I had yet to see in the wild. 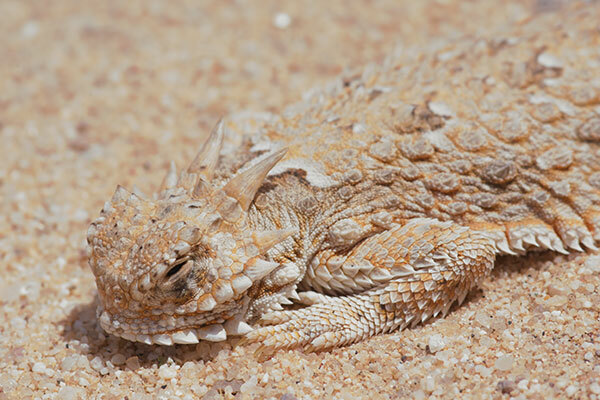 And, of course, horned lizards are the coolest. 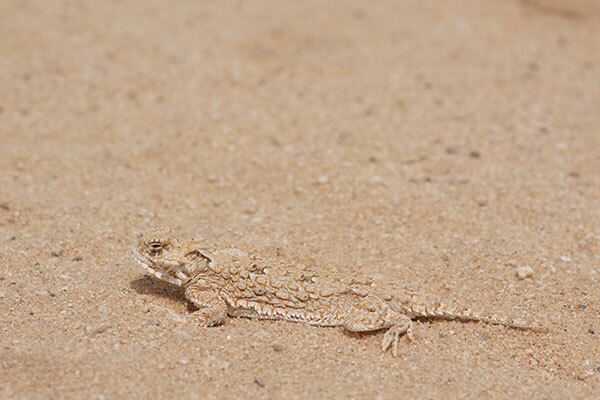 On my first afternoon in the range of these lizards, I drove slowly down a long dirt road keeping my eyes attuned to any lizard-shaped objects. Within half an hour, I spotted this sleepy-looking fellow hunkered down near the edge of the dirt road in what appears to be a small ant mound. No ants were actually present, so maybe the nest was inactive, or maybe the lizard had eaten all the ants that dared come to the surface. In any case, I had found my target, and I was a happy camper. 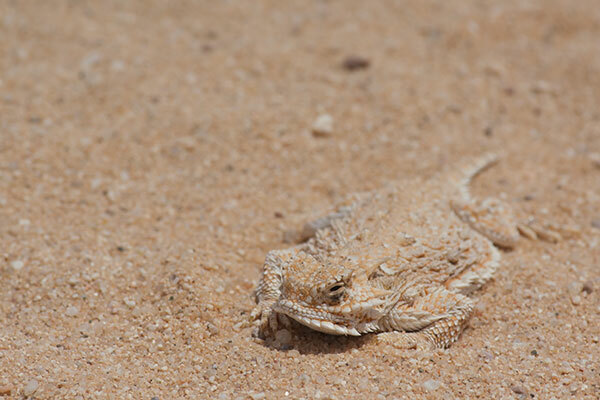 There is in general nothing more satisfying than spotting a motionless horned lizard, and spotting this particular one was even more satisfying than usual. 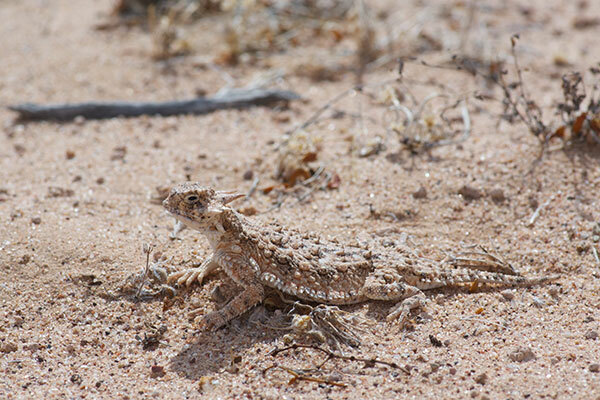 My friend Jackson Shedd informs me that research is underway that is likely to split one of the currently-defined U.S. species of horned lizards into multiple species. If and when that happens, I will of course have to go out and search for each of the newly-defined species that I haven't already seen. But for now, I have fulfilled my quest to see them all. 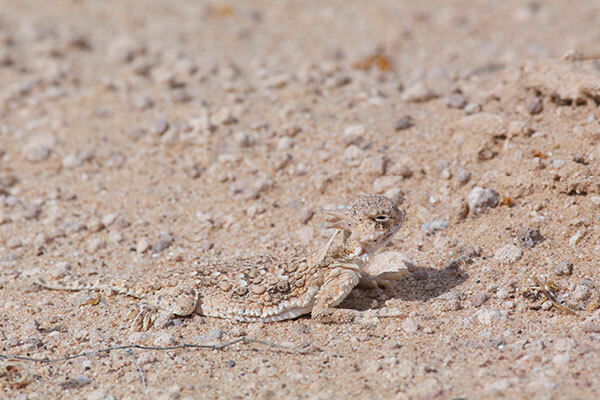 A couple of days later I thought I'd return to the same area to try to get better photos of the local fringe-toed lizards. 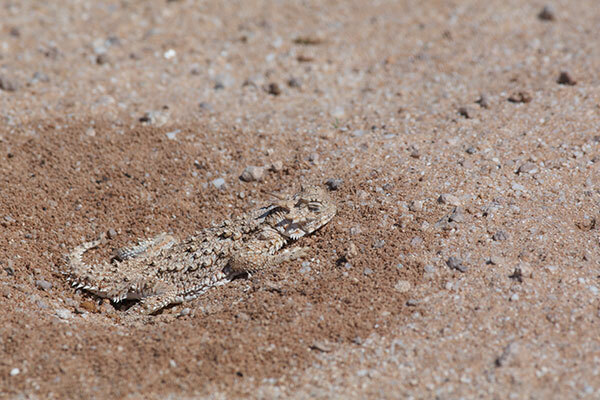 Along the same dirt road that was the site of my previous success I saw two more of these grumpy little dinosaurs. Woo hoo!